Dooring can be prevented and a group called LOOK! Chicago is working to do just that. This Saturday, March 2nd, the group will hold its first "Safety Blitz" in Wicker Park to draw attention to this type of crash which seriously injures, and sometimes kills, numerous Chicago bicyclists every year. The group will gather at the intersection of North, Damen and Milwaukee at 11 a.m. and hand out informational flyers to drivers, cyclists and pedestrians about how to prevent dooring incidents and what cyclists can do if they are in a crash. We will proceed south along Milwaukee near the site where Dustin Valenta was seriously injured in a dooring incident on February 8th. 1st Ward Alderman, Proco Joe Moreno, has expressed his full support of Saturday's Safety Blitz campaign. LOOK! Chicago was started in the fall of 2012 by wife and husband cycling enthusiasts, Katie Paffhouse Bussey and Aaron Bussey, in the wake of Neill Townsend's death in September, 2012. Neill was killed when a careless driver opened his door without seeing Neill in the bike lane beside his vehicle. When he swerved to avoid the door he was killed by large truck traveling next to him in the same direction. 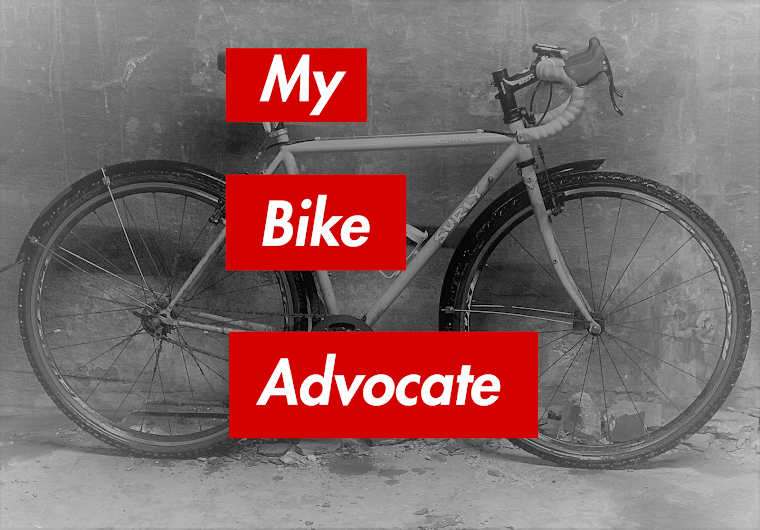 The group's mission and organization has been facilitated by The Chainlink, a popular online portal for Chicago's bicycling community. The group is, "Dedicated to promoting awareness and educating the City of Chicago to the dangers of car doors," according to its profile on The Chainlink. Its mission, "Is reaching out to everyone to prevent dooring crashes and fatalities." 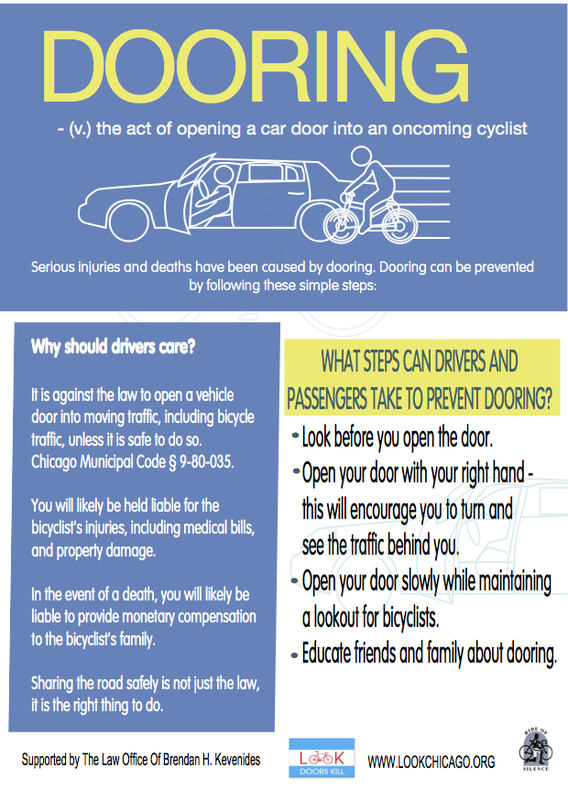 My law firm has represented many Chicago bicyclists who have been the victims of carelessly opened car doors. On a nearly daily basis I see the terrible consequences these incidents inflict. I will be out in Wicker Park on Saturday, with the rest of LOOK! Chicago, handing out fliers and helping to educated drivers and cyclists about reducing these crashes. I have been practically begging Alderman Moreno to have the Milwaukee Street Bike lanes re-painted. They are virtually invisible and motorists who park may "door" cyclists because they are not aware that a bike lane and cyclists even exist. I find it completely ironic that you are holding this "Safety Blitz" precisely where the bike lanes are invisible and where the victim was seriously injured!!!!! It is not with irony, but with serious intent that we are holding the event at that location.